Today at CES, Removu — a company known for making camera accessories — showed off its first camera. The Removu K1, as the camera is called, has ‘awesome’ written all over it. Not literally, the camera is all black, but it has a couple of features that make it pretty impressive. The Removu K1 is a 4K handheld camera, complete with an LCD, and while all of that is fine, the really defining feature of the K1 is the fact that it’s self-stabilizing. 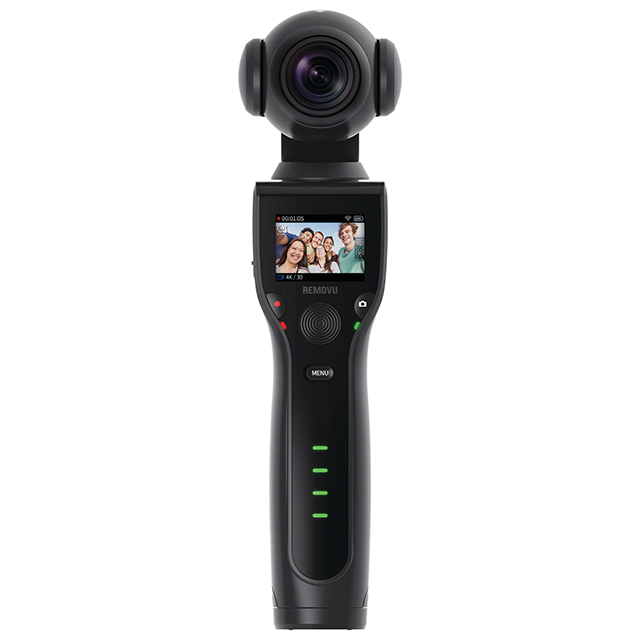 The company basically used its experience in the field of handheld stabilizers for cameras like the GoPro, and added its own camera to it. The K1 can shoot 4K videos at 30FPS, which is great, although 60FPS would’ve been amazing. Then again, at $429, it looks about right for a camera to be shooting 4K at 30FPS. Other than that, the camera is capable of shooting 12MP still photos. Since it is stabilised, photos should turn out fine, but I do have doubts about low-light performance, at least as far as photography goes. After all, the camera is using an f/2.8 aperture lens, so getting in more light will be difficult in scenarios with less light. If you’re wondering why the company went with an f/2.8 aperture, it’s because they’re aiming at videos more than photos, and at that aperture, you get more things into focus than an f/1.8 lens would have. The company is clearly aiming at more landscape types of views with the camera, because they’ve used a wide-angle lens to capture more in the frame. The display on the K1 is another thing to marvel at. It’s built right into the grip, and is capable of playing back videos, or scrolling through photos you’ve taken. Whether the display plays back 4K videos as smoothly as it should is something I’m not sure of, but at 1.5-inches, even if the video gets downscaled to 720p or Full HD, it wouldn’t make too much of a difference. Removu has also included a removable battery in the K1, which the company claims can provide up to 4 hours of recording time, and can be recharged via a USB cable. 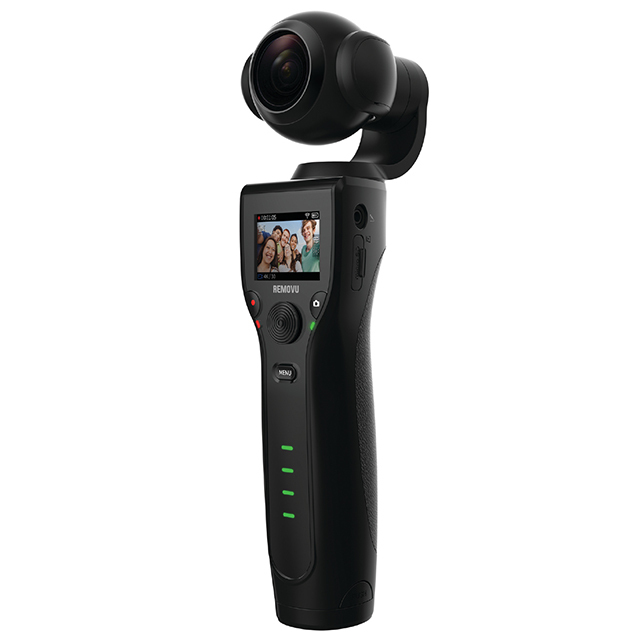 The camera also has a microphone to record audio, along with a 3.5mm jack so you can connect external microphones for better audio quality as well. 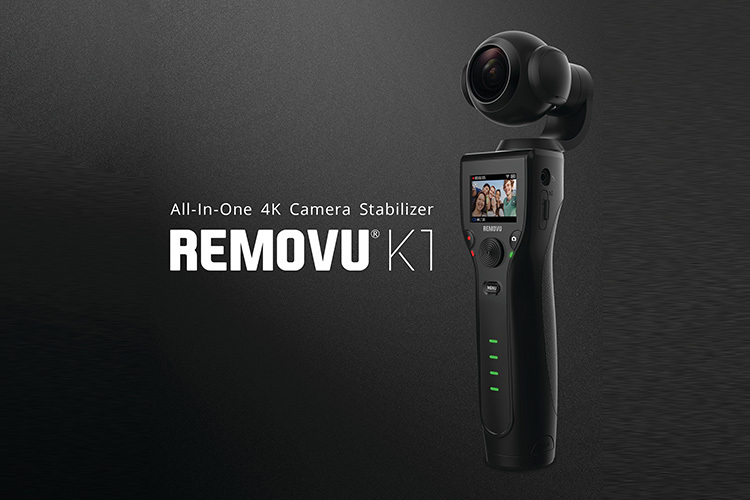 The Removu K1 is currently available for pre-order on the official website, and is priced at $429.